Travelers do not come to the quiet town at the end of the road looking for a peaceful place to settle down. When people such as yourself come to Endibraut, there's only one destination for them: the Jagged Edge, those impenetrable white teeth that shoot up into the night sky like frozen geysers. Not a soul rests in this town upon returning from those mountains because so few ever come back. But you care little for that. You are a young, ambitious adventurer, doomed to die an early death. So long as you do so with a bit of gold in your purse, you couldn't care less. Well allow me to tell a story about an adventurer such as yourself - one who came back from those peaks but was never the same. His name was Sir Aliser Holt. To understand you must know of the great, old hall in the mountains. It sits atop a cliff that overlooks Blekmyr Marsh and Warm Wood Forest, as if to view both the most foul and the greatest of all lands in the surrounding area simultaneously. The eldest in our town claim that the place was once the home of a great giant, who retreated back into the Jagged Edge when the Jotnar were overthrown by the gods. The gods were said to have ruined the hall in fury, and cursed it so that no creature shall ever live there peacefully again. Their methods were...inadequate. It was not longer than fifty years ago when the rumors started. Travelers looking for passage through the mountains would return from the marsh and the forest speaking of some massive, lumbering beast that had descended from the overlooking cliffs in search of warm flesh. A few adventurers dared to seek out the ruined hall to plunder it for mythical treasure, but fewer returned and those that did refused to speak of what they saw there. It was not long before that thing which lurked in the mountains made its presence known to us directly. Farmers and their livestock, merchants traveling along deserted roads - people were vanishing by the hundreds, and townsfolk in the street at night spoke of a terrible shape silhouetted against the bright white moon. Word spreads slowly in the north, but the Imperials are always quick to respond. They sent Sir Holt, a knight with a small keep east of Northtown, to investigate what was giving us such trouble. It took some time for us to accept that we needed his help, but it was inevitable; he had twenty well-trained men with him and it seemed his intentions were pure. Aliser Holt returned to our town several weeks later, though not one of his men came with him. 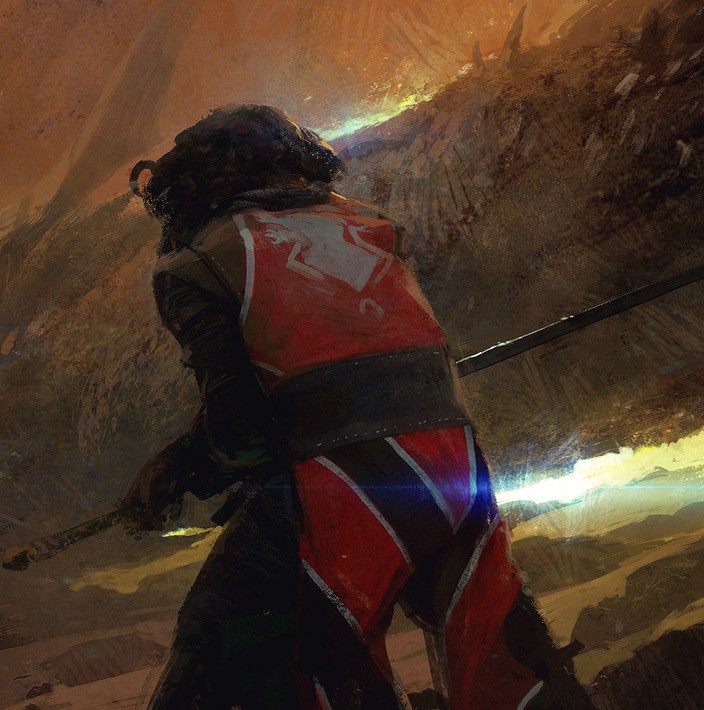 At his hip was the blade he called Myrmir, a name he hadn't used to refer to it in the past. It shimmered with new light now, but the face of Sir Holt was dark and joyless. He informed us that our problem had been solved, but would not specify. He partook in our celebration of his doings but seemed to take no pride in them. At the end of two days he returned to his keep. It was in winter of that year that we heard the news about Sir Aliser Holt. A dreadful summer storm had done horrible damage to his home, causing the tower where his wife, daughter, and heir resided to collapse in upon itself, killing them all. Sir Holt survived, but abandoned his knighthood and headed north once more. 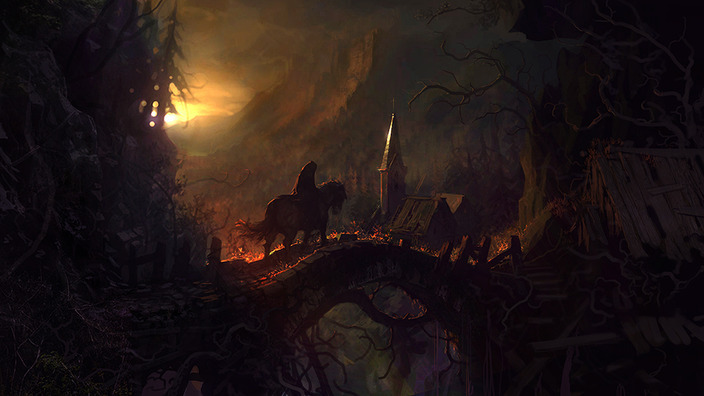 He rode right through our town without a word, and headed back for the great, old hall. In the time he had been gone, the mountain patrols of the Chaos Races had found the abandoned hall and pillaged it and made it their home. Primarily hobgoblins and orcs, Aliser Holt had little trouble disposing of them and reclaiming the ruins. He lived in solitude from then on, fending off many orc patrols and fortifying his position. The brave men of our town heard of Holt's struggle and traveled to the hall to join his cause. With strength in numbers, they made it their mission to seek out and destroy the steadily encroaching camps of the Chaos Races, purging with iron and fire as they went. Letters written back to us spoke of Holt's bravery...and his madness. The ruins of the hall were a labyrinth, with secret passages and undiscovered chambers buried beneath the earth wherever one stood. As Aliser Holt's followers grew in number, he left his war to them and spent more and more of his time lost in the caverns beneath that dark and unholy place. Those that searched for him claimed to have heard the voice of Holt echoing throughout the corridors - and another whispering back. Disillusioned by Holt's disinterest in his old battles, his followers abandoned him and set up camp elsewhere in the mountains, continuing the crusade he had originally begun. His most devoted man stayed and wrote back to us until the last - that dark, cloudy evening upon which he claimed that Aliser Holt threatened to slay him with Myrmir if he did not leave him in peace. As this final disciple slinked away into the night, he heard an anguished cry from up above and watched as Holt threw his blade into the forest below. That was the last time anyone saw him - the last time anyone ever visited that hall in the mountains. I will take this time to warn you against traveling to that place, if only so the gods do not look unkindly upon me. But I can see it in your eyes. You are a young, ambitious adventurer, doomed to die an early death, and you cannot be turned away by tales of darkness and monsters, even if the foulest of beasts was once one of your own. Welcome to my first crack at an RP set in the world of Wulfgard. I promise adventure, action, and plenty of death. 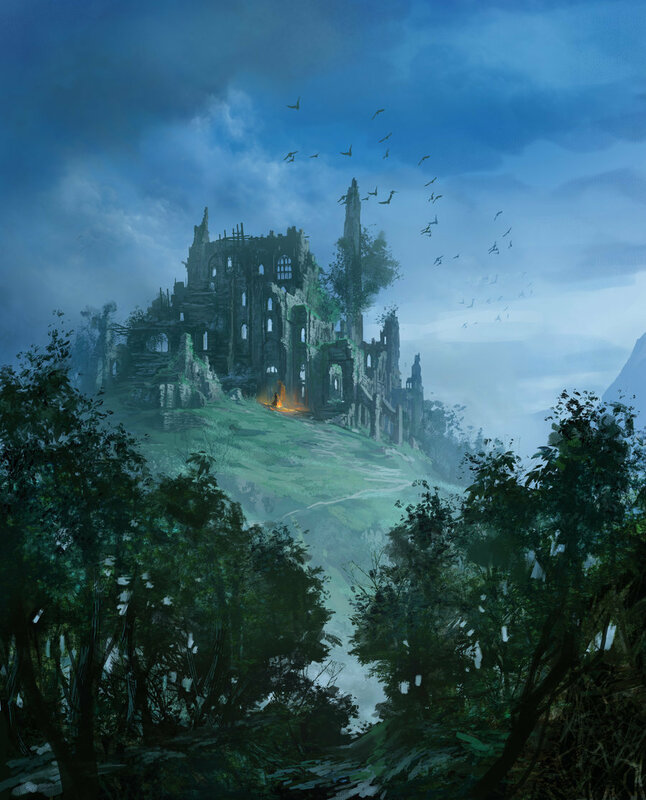 Throughout the course of the RP we will be exploring a very small section of the Wulfgard map that contains a wide variety of locations, from swamps to forests, mountains to ruins, and down into the deepest of dungeons. You will be part of an adventuring party consisting of your peers as well as a character of my own to hold you all together. Please read the sign up template carefully and note any restrictions that I have in place. I think you'll find that you have a variety of options with the creation of your character, but this is far from being a free-for-all. I can make this RP work with a small or a large group of characters, so I will scrutinize your sign ups heavily and will only allow the best of the best - the most interesting, valuable characters that fit with Wulfgard's established lore. If you have questions regarding a character concept or any issues with the sign up, please post them here or send me a private message. Appearance: Scarred from past fights and quarrels with other warriors, Cradoc also bears a brand on the right side of his neck, marking him as an outcast, thrown out of his home, his tribe, and what family he has left. His scars are all on his front side, a credit to bravery in combat. Specifically, he bears 4 scars, two across his chest and abdomen, one along his arm, and a third on the inside of his calf. Skills: A skilled hunter, Cradoc is an exceptional tracker and woodsmen. He can find his way through forests, and can track prey, even at night. He can find edible plants anywhere, and is well versed in methods of cooking game. He, like most Northmen, is also a competent warrior, skilled with both the axe and the sword. Experience from serving as a hearth-warrior has given him a strong resolve, and this paired with his height makes him a charismatic leader. He is a firm believer in the gods, and a worshiper of Tyr. Upon rare occasions, he has been known to work himself into a war-like frenzy, often frothing at the mouth. This grants him seemingly super-human strength and obliviousness to wounds. This is commonly known as Berserkgang. Magic: Cradoc is not a magician in the slightest. Weapons: Cradoc carries a his fathers sword, called Hurstwick, which has been passed down from generation to generation. He also carries a seax under his jerkin. Armor: He, like most northmen, prefers agility in combat to heavy armor which weighs a man down. He wears some chain mail, and some leather armor, but mostly fur and cloth armor. 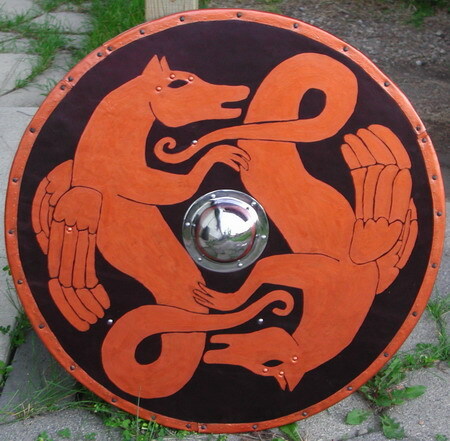 He carries a round wooden shield, customary among Northmen. Origins: Raised in the Tribe of the Bjornings, Cradoc lived in relative peace. He was happily married with many strapping, handsome sons, and beautiful daughters, when he was accused of a crime that he did not commit. One of the village elders was murdered, and it appeared that Cradoc was guilty of the crime. Because of this, Cradoc was branded with the mark of the outcast and thrown out of the village. The family of the late-village elder would hunt him as long as he stayed within the borders of the Bjorning Tribe. This is why he left east, from Bjornburg to Endibraut. Edited by Bobafettmaniac, 27 June 2013 - 01:35 AM. Thanks to Burngirl for the Sig. My name is Mabel, but you can call me the girl of your dreams. Oh Muffy, where have you been? I have missed rping with you so. Our rivalry has become very one-sided with your continued absence. Anyway, this rp brings back wonderful memories of Journey. I'll do my best to make my character a little bit more grounded in reality than I usually do. Are there any links we can look at for information on magic within Wulfgard? Takes regular visits to sweater town. 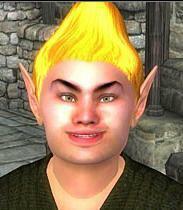 Appearance: Standing 3’ 7”, Helga has blonde hair, green eyes, and pale skin. Like most dwarves, Helga has a high physical endurance, able to take plenty of punishment even without her armor on. Admittedly, not as much damage as a male dwarf can take, but the difference is marginal. 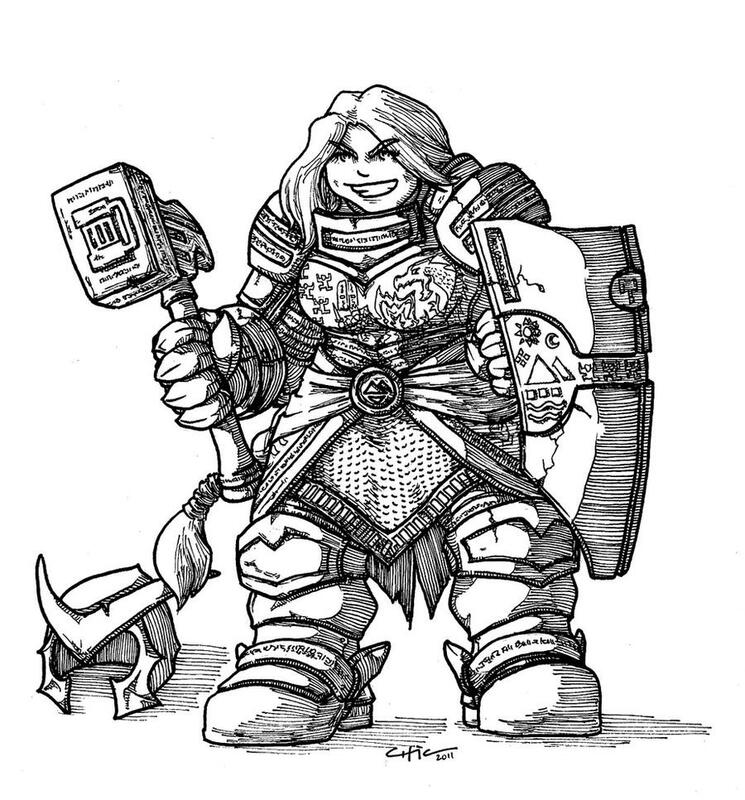 Also like most dwarves, Durnen is pretty strong, though with the weight of her armor and weapons encumbering her, she isn’t able to carry too much. Helga is also skilled with her weapon choice, using warhammer and shield to bash her enemies to pieces with satisfying efficiency. In addition to these, Durnen has picked up a few tips when it comes to negotiating from watching Iron Gauntlet merchants at work, though she obviously isn't as good at applying these tricks as they are. She also has a decent knowledge of most of the prominent factions in Wulfgard from her travels and from overhearing conversations while guarding Iron Gauntlet assets. Helga also has a very good sense of direction when underground, with a habit of making a mental map of whatever cavern/dungeon she wanders in to. This more or less makes it impossible for her to loose her way beneath the earth, though she'll get lost in a forest as easily as the next dwarf. Born in an obscure dwarven hall relatively near the Dvaergarn gate, Helga led a rather uninteresting life for a few years. Mainly working in the delivering business (someone has to haul all those metric tons of precious metals around), Durnen eventually got her hands on a weapon and learned some techniques from the odd veteran or two until she signed up to be an Enforcer for the Iron Gauntlet. As their merchants had had use for her muscle for carrying goods, they already had proof of her strength, and her techniques proved satisfactory for the job. With that, she was handed some fancy new toys and sent to work. A good quarter-century after that saw Helga withdrawing because she was bored from being stuck with guard duty most of the time rather than being assigned to bullying human merchants on a regular basis. Thus, she took her equipment and went off looking for adventure, as so many beings do at that point in their lifetime. Durnen has already been on a couple quests, though neither were quite as exciting or rewarding as she hoped. Now, she has come to Endibraut in search of more adventure, hoping to do something fulfilling before she hits her first century. Edited by Burger Warrior, 06 December 2012 - 04:33 AM. Lots of information on magic in the lore section of the wiki. EDIT: Man, I just can't warm up to Wulfgard; never mind. Edited by The Captain, 05 December 2012 - 09:44 AM. I'll have a picture up as soon as I draw one and can make a scan. Appearance: Turbati is scraggly, dark haired person with a far off look in his eyes, indicative both of lack of sleep and a troubled mind. His muscles are lean and strong from years of hard work, but that doesn't stop him from looking like he misses too many meals. He carries himself in a relaxed way, as though he were sleep walking from place to place. He wears a myriad of different kinds of clothing he has picked up during his travels. Skills: He is an expert in hand to hand combat, and well versed or at least knowledgeable in acrobatics, stealth, lockpicking, trap disarming and puzzles. His greatest ability is his ability to improvise and think of things on the fly, which has saved (and nearly ended) him many times. Armor: Hardened leather cuirass in combination with shin guards, arm guards and gloves for hand to hand combat. Origins: When he was a young boy, Turbati worked in an antiques and oddities shop in the Imperial City, helping the owner move heavy things and fetch items for customers for extra coin. One day he noticed a tattered, leather bound book with an odd symbol on the very top shelf of the bookcase, covered in dust. Curious, he opened it and a jumble of words and images instantly flooded his mind, and he found that he was unable to let go of what he held. As soon as the shopkeeper came out to see what was wrong, the volume had already burst into magical flames, leaving nothing more than a pile of ash. Now Turbati roams the world seeking an end to the nightmares that plague him every time he falls asleep, searching for rumors about what kind of object was capable of doing that, or perhaps even the origin of the symbol on the cover. When he overheard whispers of a cursed place haunted with a dark history, among other things, he figured it would be as good a place as any to look next. Edited by Halicon, 12 June 2013 - 04:05 PM. O hey guise, because Wolfy told me about this I took the time to update wiki a little, most notably on the Magic page (though the only "magic discipline" sub-page that has been updated is Arcane). As Wolfy and I write our Wulfgard novels in the background, we sometimes revise and refine certain things, so I just wanted to make some clarifications in that area. Most importantly, I wanted to point out that not all elves and dwarves are automatically born with the Gift for Arcane Magic - their cultures are just more accepting of it when it happens - and Arcane Magic cannot influence the natural world, but instead summons power from beyond the magical world. So they can conjure water from thin air, but cannot cause the seas to rise. That's a distinction between the power of Magi and Shamans. Anyway, if you want to discuss this sorta thing, that's better suited to the Q&A thread, so feel free to pop on over there any time you like. Dunno why people feel the need to say things like this, seeing as the meat of the Wulfgard content - the actual main storyline and characters for which we created this fantasy world - has barely been scratched on this website. It's pretty hurtful to see folks dismiss this whole thing we've lovingly crafted when it hasn't even really gotten started. I just don't get it. I don't mean to come off as asinine, but presenting the title plot won't change an awful lot for me. I don't want to spark a debate either, but my distaste lies in the blatant historical plug-and-play that's running really strong in what you have so far, which is fine for any competent fantasy realm since a bunch do it but were/are received very well, but they just don't appeal to me. This is a Wulfgard positivity topic. People who aren't able to "get into" the universe need not apply nor reply. This is an RP sign up, not a discussion topic. Please keep opinions to yourselves. Well, it would be great if you did join, Scorp. BTW, Sir Muffins, any thoughts on the sign-ups so far? Or is that confidential ? There's something weird in Gravity Falls. Kidding. I might sign-up for this. I've been meaning to get into Wulfgard, and this would give me a chance to play a character a little more down-to-earth than what I normally play. Out of curiosity, would a elven character that looks like this be a little too out of place for this RP? Trying to get a handle on what I can get away with. If I'm not the smart guy, who am I? 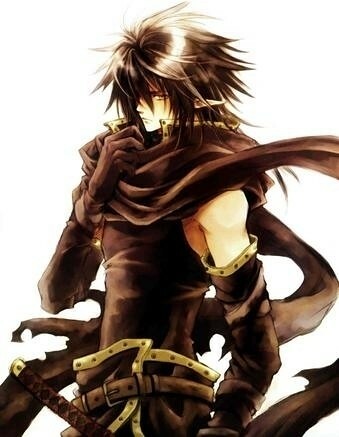 Looks like a bishi version of Envy. That thought alone slightly scares me. And here I thought Ryoma didn't have it in him. Edited by Halicon, 05 December 2012 - 09:04 PM. Bobefettmaniac: It's a pretty solid Northman sign up, though the image makes me think of Ken Watanabe so I thought maybe he was from the east at first. You mention he has several scars as well as a brand from his tribe. It might help his character if you went into a little more detail. How does the brand look? Where is it? Where are his scars? Then you can get into details like how he got them later in the RP itself. The character could also use a few more skills. He's a good tracker and a "woodsman". What does that mean? Is he good at hunting? Can he set up a camp? Cook a meal? Navigate by the light of the moon? Burger Warrior: Not bad, but the character's skill set is a little bland. Basically her talents are "being strong and using a weapon" which tends to be a talent shared by most adventurers. I want her to be more valuable to the group. There's got to be other stuff she learned to do when she was working with the Iron Gauntlet, or even in her past adventures. Halicon: I really don't have much to say; the sign up is interesting and simple. He has unique skills, an interesting backstory, and you don't try to do too much with the character. As a rule I would try to avoid any pictures that use an anime style, or any cartoons. Those are immediately going to communicate the wrong vibe, in my opinion. You can get away with more outlandish stuff if your character's appearance is realistic, but if he looks like the picture you used then I'm probably going to want a more toned-down character in terms of magic, skills, biography and whatnot. Have you seen some of my characters? I clearly have no shame. Okay, Muffy. I'll see what I can do. I'm still feeling out what kind of character I want to play, and reading up on Wulfgard. If I find something that fits, expect a sign up from me. Sir Muffins, I made some changes, and I am interested to hear your thoughts. I threw in the berserkgang, and I might take it out, if you think it makes him overpowered. If so, I would like to give him some special ability as a druid, and I would need more info from Scorp regarding druids and the like. Hey Scorp, while you're around, mind helping me out a bit? I looked around the wiki, but I couldn't find anything on the universe's gods. I'm looking for something like Aphrodite from Greek mythology, a god of lust and desire, that my character worships. Well, that would be Aphrodite, then. Very basically, the religion goes like this: the Achaean Empire worships the gods of Greek and/or Roman mythology (we often interchange names and/or use whichever name we prefer, like Zeus instead of Jupiter, but Vulcan instead of Hephaestus), the men of Northrim worship the gods of Norse mythology (Odin, Thor, etc. ), Southrons/Southerners of Kemhet worship gods of Egyptian mythology (Isis, Anubis, Osiris, etc. ), men of Persinshar follow a dualistic religion like Zoroastrianism (Ormazd/Ahura Mazda and Ahriman/Angra Mainyu), etc. And then there's also the Cult of Astra Aeterna, which is a fairly new religion. Obviously there are various other religions and mixing in the followers of each religion (some sailors in the Northwest might worship both Poseidon and Njord, or at least acknowledge a fearful respect of both), but those are the major religions according to region. I'll sign-up over the weekend, after I've gotten a little more of my piles of college crap out of the way. I'm looking forward to this. So Wolfy, what about druids? Do they exist? Do they have any supernatural powers? Or are they just spiritual quacks?